The debate concerning Western Australia’s controversial shark culling program is raging unabated. In order to protect swimmers and surfers, a plan to hook and kill large sharks—particularly Tiger sharks (Galeocerdo cuvier), Bull sharks (Carcharhinas leucas) and Great white sharks (Carcharodon carcharias) over 3 meters in size—has been expressly authorized by the Australian central government. Recently, the Cornell International Law Journal Online published a piece that examined the national and international legal dimensions of the contested shark-culling program. This post builds on the previous piece by taking a closer look at the Bonn Convention on Migratory Species (CMS), the international legal instrument that is most on point regarding the culling program. In particular, it explores the merits of one of the allegations commonly voiced by conservationists, that the shark-culling program is at odds with Australia’s obligations under the CMS. If this conservationist allegation is in fact true, then it would put quite a different perspective on the importance that the Australian government has traditionally placed on other states’ compliance with international marine megafauna protection requirements. If the Australian government is actually avoiding its obligations arising under the CMS, this would evidently affect its credibility when confronting any other country over actions allegedly violating a marine fauna treaty. The proceedings before the International Court of Justice concerning Japanese whaling are a case in point. It is useful to distinguish between the effect of the shark cull on the directly targeted shark species and the unintentional and more unpredictable effect of the contested program on other species, such as turtles and marine mammals. Given the Convention’s definition of “taking,” both the intentional capture and killing of sharks and the unintentional capture of turtles and marine mammals are covered by the prohibitions prescribed in Article III. Of the sharks involved, only the Great white is listed in Appendix I to the Convention (and in Appendix II as well). Clauses (a), (b) and (c) are clearly not applicable here, as the purpose behind the shark cull is not science, conservation, or sustainable use. The key question then is whether Article III(5)(d) can legitimately be invoked by Australia to justify considering the shark culling program an exception to the no-take rule required by “extraordinary circumstances.” Reading the text of Article III(5) at face-value, the rather open-ended clause “if extraordinary circumstances so require” appears to grant Australia a considerable degree of discretion in determining necessary circumstances. Classifying an increased rate of shark attacks as extraordinary circumstances would thus not on its face appear to transgress the boundaries of this discretion. The exceptions, however, must be “precise as to content,” “limited in space and time,” and “should not operate to the disadvantage of the species.” The actual degree of discretion available to Australia—and thus the compatibility of the shark culling program with the Convention—must thus be determined based on Article III(5)’s limiting language. The conservation of migratory species is the “object and purpose” of the CMS. Viewing Article III(5) in this light thus requires a narrow interpretation of its exception clauses, so that the clauses will have a minimum impact on the strict protection of any Appendix I species, including the Great white shark. The “object and purpose” of the CMS seems to dictate interpretations in favor of the protected species rather than the contracting parties’ room for decision-making. Given this strong presumption against killing protected species, Australia would shoulder the heavy burden of showing that the shark culling program does “not operate to the disadvantage” of the Great white shark. Since Article III(5)’s purpose is to maximize the CMS’s protective intent, it can similarly be argued that the scope of the protection provided by the CMS is not limited to simply barring actions that would harm the Appendix I species as a whole, but also any action that would harm local populations. Examinations of “subsequent agreement” and “subsequent practice” evidence tend to involve documents that are not by themselves legally binding, but that may nevertheless have significant interpretive value. These documents include the decisions adopted by Conferences of the Parties (COP). At present, this would include both CMS COP Resolutions addressing Great white sharks and the 2010 Memorandum of Understanding on Migratory Sharks,an ancillary CMS instrument signed by Australia, which covers the Great white shark. The Memorandum of Understanding emphasizes the application of a precautionary approach. Even if definitive scientific information on the ramifications of a certain course of action is lacking, that lack of information should not prevent conservation of sharks. Applied to Article III(5)’s “disadvantage of the species” language, this precautionary approach pushes against the cull even if the available information is in the nature of ecological warnings rather than conclusive scientific evidence. Of particular significance to the shark cull is the COP7 document, proposing the inclusion of the Great white shark in CMS Appendix I. This document’s relevance is ironically heightened because its author, the state that proposed the Great white shark’s listing in 2002, is Australia itself. The document identifies “direct and incidental fishing pressure” and “protective beach meshing” as two of the “major direct threats to Great white shark populations.” Moreover, the COP7 document stresses that Great white shark populations are “highly vulnerable” to human-caused mortality. It cites two studies, based on the waters off the Farallon Islands, which found that “the removal of just four Great white sharks greatly reduced, and possibly eliminated the entire local population of Great white sharks.” It is somewhat paradoxical to note, then, that the current Australian culling scheme relies on both beach meshing and deliberately targeted fishing—both of which are intended by humans to cause the death of sharks. The reasons that were the very basis for listing the Great white shark as an Appendix I species thus appear to argue against the validity of invoking Article III(5)(d) as a justification for the contested shark culling program. The above analysis is by no means comprehensive, and a firmer interpretation of Article III(5) could potentially be obtained by diving deeper into the Convention’s drafting history, pertinent practice under other legal instruments containing similar exception clauses, and any other “relevant rules of international law.” Nevertheless, treaty interpretation principles seem to render difficult any reconciliation between the shark-culling program and Australia’s obligations regarding the Great white shark under Article III of the CMS. Incidentally, the questionable Australian invocation of Article III(5)(d) catches more than just sharks. In particular, it appears to undercut the legitimacy of Australian arguments submitted before the International Court of Justice that criticize Japan’s invocation of the exemptions present in the International Convention for the Regulation of Whaling. By pushing for the shark cull regardless of the legal ramifications of invoking the contested CMS exception, the Australian authorities have made it harder to distinguish the pot from the kettle. 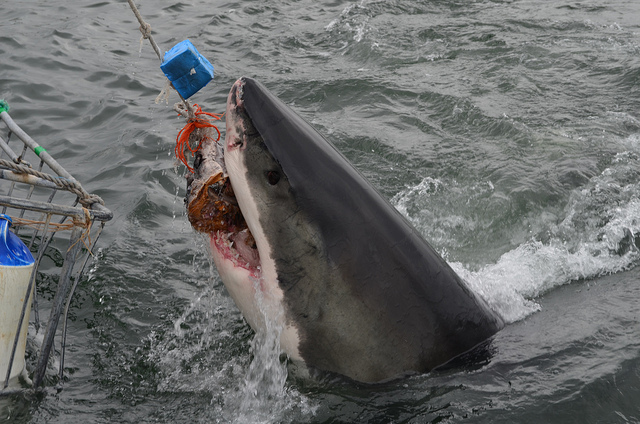 The Australian Shark Cull and the Convention on Migratory Species, 2 Cornell Int’l L.J. Online 41 (2014). * Arie Trouwborst (LL.M., Ph.D.) is an associate professor of environmental law at Tilburg Law School in the Netherlands. See, e.g., Brendan Foster, WA Government Did Not Seek Advice from EPA over Shark Cull, Greens Say, The Guardian (March 14, 2014), http://www.theguardian.com/world/2014/mar/14/wa-government-did-not-seek-advice-from-epa-over-shark-cull-greens-say. See, e.g., Tom Arup, Greg Hunt Grants WA Exemption for Shark Cull Plan, The Sydney Morning Herald (January 21, 2014), http://www.smh.com.au/federal-politics/political-news/greg-hunt-grants-wa-exemption-for-shark-cull-plan-20140121-315zk.html. For one (critical) overview of relevant facts, see, Save Our Sharks, Australian Marine Conservation Society, http://www.marineconservation.org.au/pages/sharks.html. Alex Kerrigan, Sharknado in Western Australia, 2 Cornell Int’l L.J. Online 18 (2014). Convention on the Conservation of Migratory Species of Wild Animals, June 23, 1979, 1651 U.N.T.S. 333 [hereinafter Migratory Species Convention]. See, e.g., Oliver Milman, Shark Cull: Government in ‘Clear Breach’ of International Obligations, The Guardian (February 12, 2014), http://www.theguardian.com/world/2014/feb/12/shark-cull-government-in-clear-breach-of-international-obligations. On 31 March 2014, the Court is expected to deliver its eagerly awaited Judgment on Whaling in the Antarctic (Austl. v. Japan; N.Z. intervening), http://www.icj-cij.org/docket/index.php?p1=3&p2=3&code=aj&case=148&k=64. Migratory Species Convention, supra note 4, art. III(5). Migratory Species Convention, supra note 4, art. III(5); see also art. 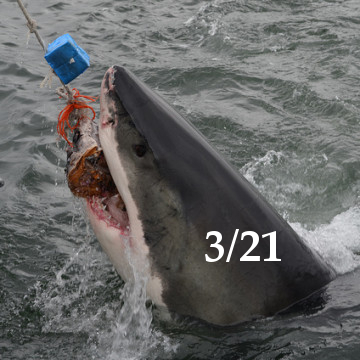 III(7) (requiring formal notification of any exceptions be given to the CMS Secretariat); but see Aleisha Orr, More Claims of Breaches in Great White Shark Baiting, WA Today (February 12, 2014), http://www.watoday.com.au/wa-news/more-claims-of-breaches-in-great-white-shark-baiting-20140212-32i3k.html (reporting that there is some question whether such notification was given in a timely manner). Vienna Convention on the Law of Treaties, art. 31(1), May 23, 1969, 1155 U.N.T.S. 331, 8 I.L.M. 679 (1969) (hereinafter VCLT). Yearbook of the International Law Commission, 1966, 4 (U.N. Pub. Sales No. 67.V.2, Vol. II). VCLT, supra note 12, art. 31(3). General Agreement on Tariffs and Trade, April 15, 1994, 1867 U.N.T.S. 187; 33 I.L.M. 1153. Memorandum of Understanding on the Conservation of Migratory Sharks, February 12, 2010, available at http://www.cms.int/species/sharks/MoU/Migratory_Shark_MoU_Eng.pdf. See, e.g., CMS COP7, infra note 21. CMS COP7, Proposal for Inclusion of Species on the Appendices of the Convention on the Conservation of Migratory Species of Wild Animals, Proposal I/22 and II/21 (Carcharodon carcharias, Australia, 2002), available at http://www.cms.int/bodies/COP/cop7/species_proposals/pdf/I_22_II_21_Carcharodon_carcharias_AUS.pdf. Id., at 4 (citing Cailliet, et al., Preliminary Studies on the Age and Growth of the White Shark, Carcharodon carcharias, Using Vertebral Bands, 9 Memoirs S. Cal. Acad. Sci. 49 (1985), available at http://www.researchgate.net/publication/259293970_Preliminary_studies_on_the_age_and_growth_of_the_white_shark_Carcharodon_carcharias_using_vertebral_bands). See Memorial of Australia, Whaling in the Antarctic (Austl. v. Japan) (May 9, 2011), available at http://www.icj-cij.org/docket/files/148/17382.pdf. Next Article FCPA Enforcement Against Foreign Companies: Does America Know Best?